Solo harp clip: "Pachelbel's Canon"
Solo harp clip: "Crystal Tears"
1. Solo harp clip: "Pachelbel's Canon"
2. Solo harp clip: "Crystal Tears"
VOTED "BEST OF 2016, 2015, 2014, 2012" PHONE/818-433-2221/caroltatummusic@yahoo.com - Former WINDHAM HILL RECORDS artist Carol Tatum is available to play for your wedding or event in the Dallas-Ft. Worth Metroplex, Austin & E. Texas. Wow this musician was maxing to hear and guests loved her. Very easy to work with and result was just Heaven. 5 Stars for a a talented musician and music she selected and played. Definitely would use her again for private events! It was a delight playing music for you and your lovely guests. Perhaps we will see each other again at Christmas time. 5 stars for this wonderful Client! Insurance: $2,000,000 - "Day Of" liability coverage (a Certificate Of Insurance) can be obtained at the Client's expense. 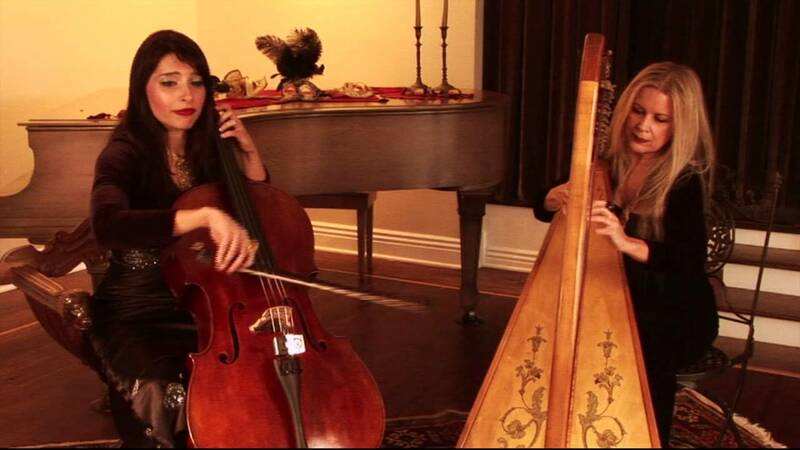 Harpist Carol Tatum, originally from Dallas, Texas, has been playing stringed instruments since age seven and is the founding member and songwriter, arranger and producer for her group “Angels of Venice” (consisting of harp, flute, cello, keyboards and percussion). Her debut CD on Windham Hill Records (George Winston, Jim Brickman) was released July 29, 1999 and chosen “Critic’s Choice” in Billboard Magazine (August 4, 1999). Carol has extensive recording and performance experience and members of her audiences have included Henry Kissinger, Cardinal Roger Mahoney, Sting, Don Henley, Jackson Browne, Bob Hope, Tom Hanks, Phyllis Diller, Susan Sarandon, Olivia Newton-John, Ann-Margaret, Christopher Reeve, Ted Danson and many, many more. She is an ASCAP member and published songwriter holding almost 100 copyrights, including producing and arranging the Cat Stevens song “Sad Lisa” for Windham Hill Records’ compilation CD “Summer Solstice” which remained #6 on Billboard’s New Age chart for the entire summer of 1997. She also produced and arranged songs for many other Windham Hill compilations (“Conversations With God,” “Summer Solstice I and II”, “Winter Solstice On Ice,” “The Renaissance Album,” etc.) along with other artists such noted musicians as George Winston and Michael Hedges. Carol has released six self-distributed CDs of original music in the U.S., Taiwan, Hong Kong, Canada and the U.S., and her second CD “Awake Inside A Dream” was reviewed and “highly recommended” by Billboard Magazine. Her rendition of “Scarborough Faire” appeared on the movie soundtrack “Big Bully” starring Tom Arnold. Carol’s band, Angels Of Venice, was the house band for the Screen Actors Guild Awards (SAG Awards) show for the years 1999 and 2000. Carol has been interviewed three times for the Los Angeles Times Calendar section. She and her group continue to appear in publications from coast to coast and were featured in and appeared on the cover of “Entertainment Today” magazine (March, 10, 2000). From December, 1999 through late January, 2000, Angels Of Venice embarked upon Windham Hill’s “Winter Solstice” U.S. tour with David Arkenstone and Liz Story playing to sold out audiences and selling out of CDs at almost every show. The Angels rendition of “O Holy Night” appeared in the accompanying holiday special on the A & E Network entitled “Winter Solstice On Ice” and on the VHS/DVD of the same name. The “Winter Solstice” CD also charted in Billboard Magazine’s Top 200 CDs for the holiday season. 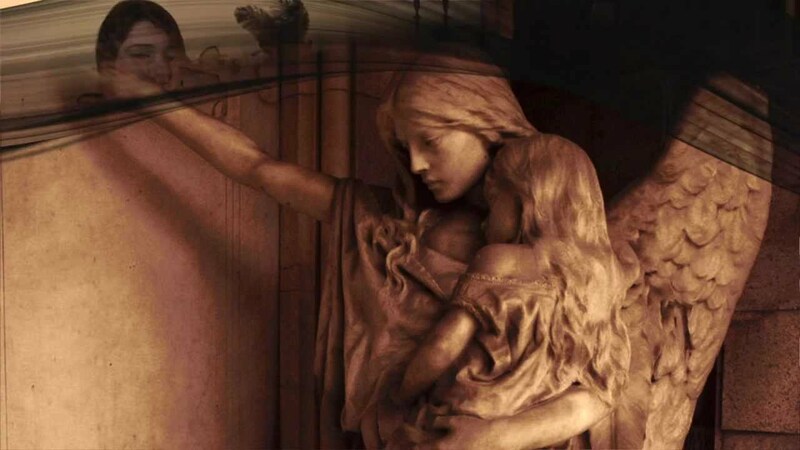 The Angels six CDs are currently being played on national radio stations such as National Public Radio and Public Radio Network. Carol’s CD, “Music for Harp,” was voted in the Top 25 Essential CDs For 2001 on PRN’s “Echoes” radio show, a syndicated show to 150 radio stations and on “Hearts of Space” radio show, syndicated to 250 stations. Her music is used for Descanso Garden’s 2002 cable TV commercial. An Angels of Venice Christmas CD “Sanctus” (meaning “sacred”) was released October 31, 2003. The CD received rave reviews due to its unusual percussion-based arrangements of traditional holiday songs. Carol further appeared on Fox’s “Renovate My Family” with Dr. Phil’s son, Jay McGraw (Sept. ’04) and was selected to perform on Ch. 7/ABC’s “Extreme Makeover: Wedding Edition” as a harpist for the wedding scene (May 9, 2005). Liza Minelli sang at the reception. Carol also just appeared on an HBO promo for Ellen Degeneres. In 2009, Carol recorded her sixth CD, “Ancient Delirium,” which is a departure from the traditional Angels Of Venice harp/flute/cello core sound. It incorporates her love (from an early age) of world percussion and favorite exotic instruments such as hammered dulcimer, tambura, oud, Greek and Irish bouzouki, sitar, East Indian female vocals and more. Carol was asked by famed photographer and philanthropic humanitarian Wayne Schoenfeld to contribute the music to a soundtrack for a documentary called “Doctors Without Borders.” This is a lifelong dream come true for Carol to be able to add her music to a documentary of such a noteworthy cause. 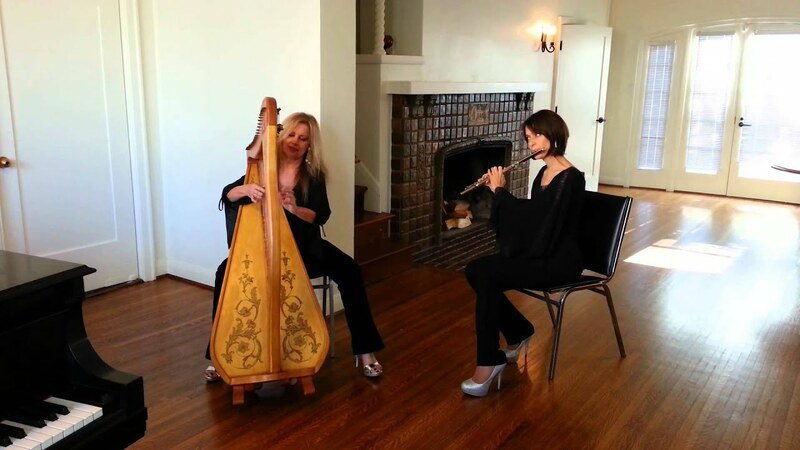 Carol is currently creating a new music group, Dallas Early Music Ensemble, featuring harp, recorder and cello performing compositions from the 11th through 13th centuries. Rehearsals are currently taking place in 2017 with a launch of the group in 2018. Carol continues to perform in the Dallas-Ft. Worth Metroplex, Austin and East Texas and beyond for weddings and other event as a soloist and with her group. In her spare time, Carol enjoys recording in her home studio, studying 11th-13th century medieval European history and helping with dog rescue. Chambers Of Commerce: Los Angeles, Pasadena, Montrose, Monrovia, Whittier, etc. Various charity organizations such as Project Angel Food, Children’s Health Coalition, American Oceans Campaign, WeSpark, Vincent Price Museum, etc. Carol's harp has a custom pick up installed inside her harp, which connects to a 1/4 inch female input with a line out using a standard electric guitar cord into an amplifier or P.A. system. The amp requires one common electrical outlet. Carol's general set up is a Fishman Loudbox Mini 60 watt acoustic amp used either as an amp or a pre-amp to a direct box or P.A. or with a line out to a P.A. system. This amp can be used alone to cover up to 300 guests outside or 500 guests inside. P.A. availability is recommended for 500+ guests. Carol owns several larger P.A. systems as well which can be used for a rental fee.